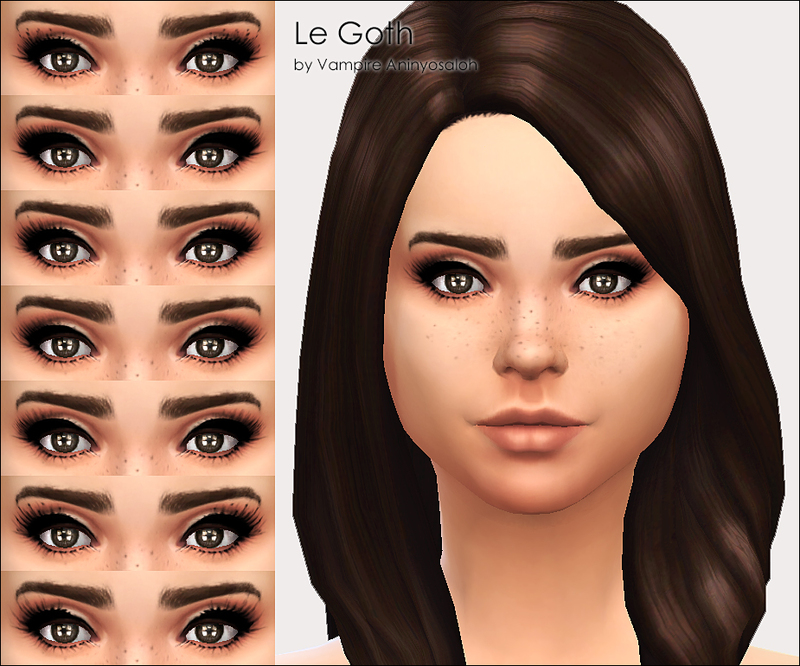 Le Goth is and has been for many years my most downloaded, thanked and favourited creation. Over five years after I uploaded it, I decided to do a remake for TS4. 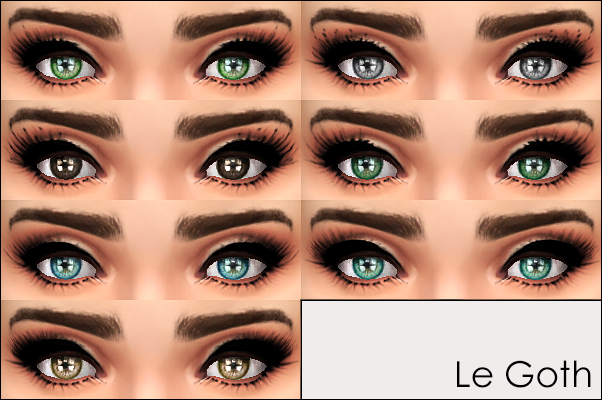 I have adapted it with nicer textures and more realistic lashes, but keeping its spirit. 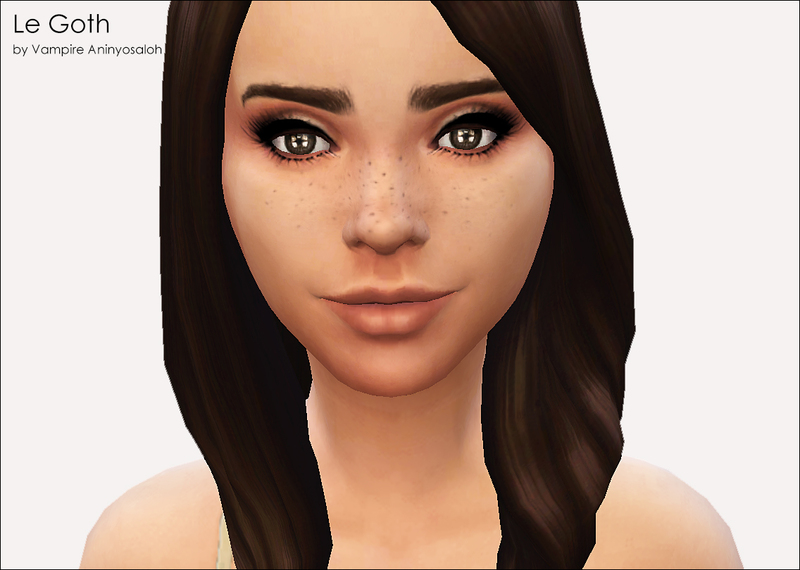 They are non-defaults and work for male and female sims from teen to elder. You can choose between downloading them to be found in the face paint category or in the skin details section.